We take the show on the road! The Songwriter Serenade is mobile and we can bring the show to your house to entertain your guests. We will hand pick a few artists to your liking and bring the fantastic sounding sound system to your event. 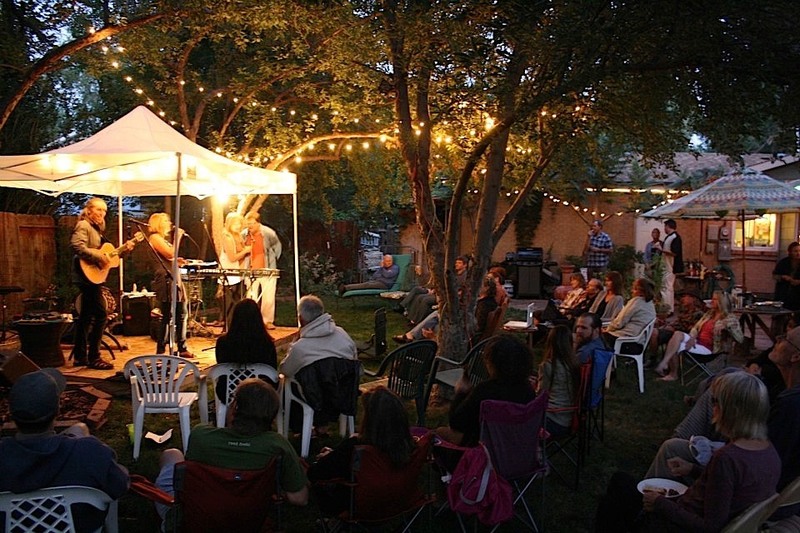 The sound system is very small and can easily fit in your living room or backyard. 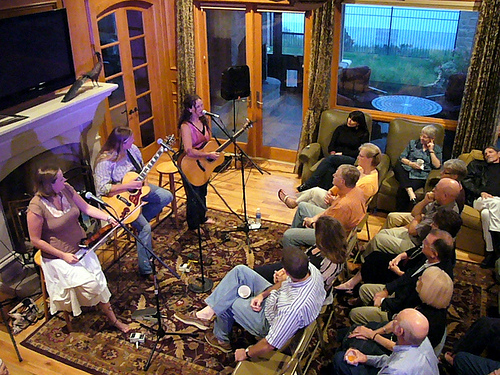 All you have to do is invite your friends to come to your house concert. The show can range in length to what you like. I usually suggest an hour and a half show with an intermission in between. There are different ways to pay for the show. You can pay for the show yourself, or have a suggested donation for each guest to pay. It will be a night that your friends will be talking about for a long time. Give JC an e-mail to discuss the date and time for your house concert.